The Adkins Arboretum is a unique 400-acre Delmarva site preserving 600-plus native Mid-Atlantic coastal plain plant species. Its 18,000 annual visitors can walk 5 miles of trails through diverse habitats. 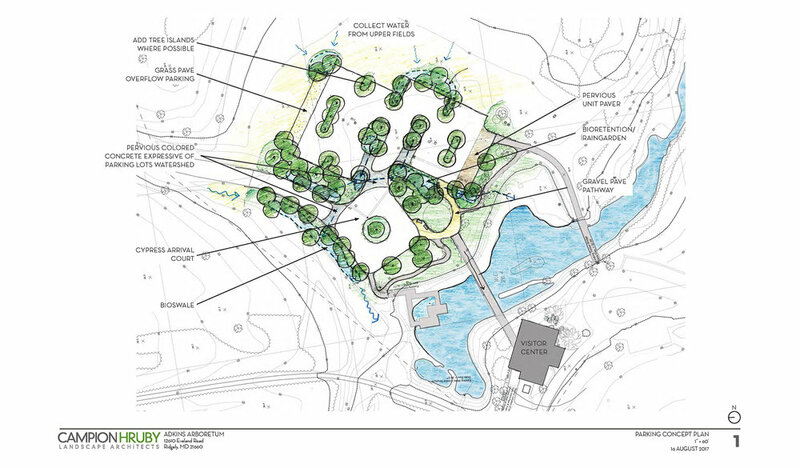 The Arboretum’s existing 3-acre entrance parking lot presents an incongruence 3-acre expanse of asphalt, lacking tree canopy, plantings or stormwater management. 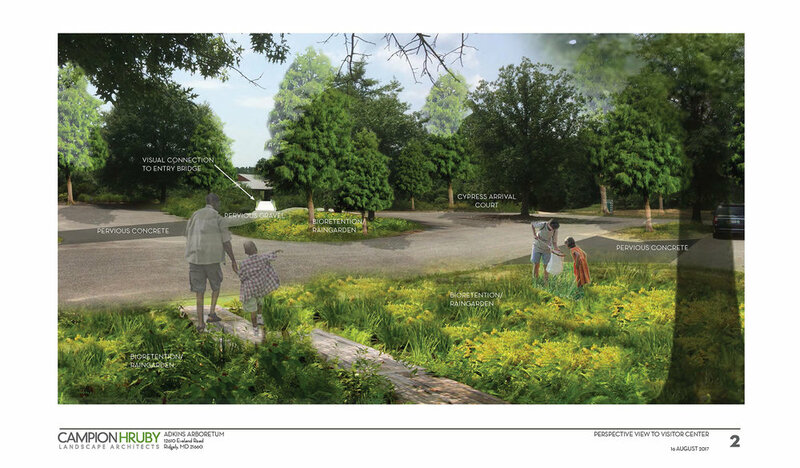 Designgreen partnered with Campion Hruby Landscape Architects to support Adkins as they developed their land stewardship vision. This master planning effort took the concept to permit-ready plan set. This work forms the basis for implementation fund raising. Our services included client support, site analysis, flow analysis, hydrologic and nutrient load reduction computations, problem solving for high water table, engineering sufficiency reviews and design alternatives. This project was funded through the Chesapeake Bay Trust’s Green Streets, Green Jobs, Green Towns (G3) grant program.